Are You Feeding Your Dog The Right Way? 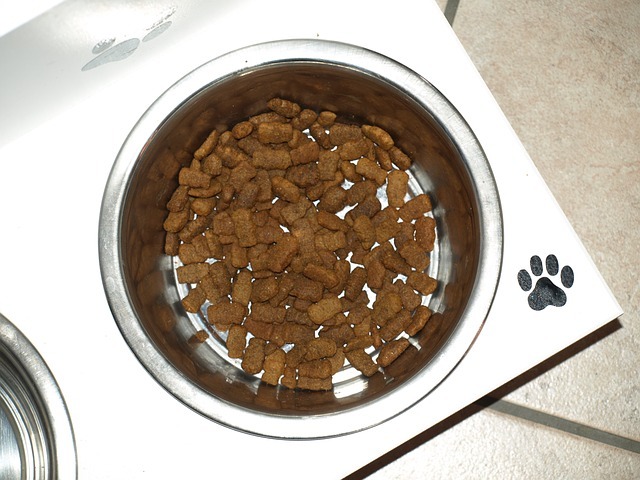 Dog owners can pick from any combination of three different methods for feeding. Leaving a virtually unlimited amount of food available at all times, allowing your dog to choose when they want to eat. Leaving a virtually unlimited amount of food available for a predetermined amount of time, after which the food bowl will be removed. Leaving a predetermined amount of food available for each individual meal. Most dogs respond best to Amount Limited feeding, with some Time Limited thrown in. By controlling the amount of food your dog consumes, you have the best chance of meeting the optimal health benchmark. Keep an eye on how long it normally takes your dog to finish his or her meals, you can identify health problems that negatively impact appetite in their earliest stages when treatment will be most effective and least expensive. If your dog tends to graze through the day, there is no need for you to pick up the bowl between meals. Just watch how much food remains in the bowl before you add more. If it begins to increase, your dog's appetite is decreasing. You've spent a lot of time learning how to pick the right food for your dog. Accent that by learning about the right way to feed your dog!